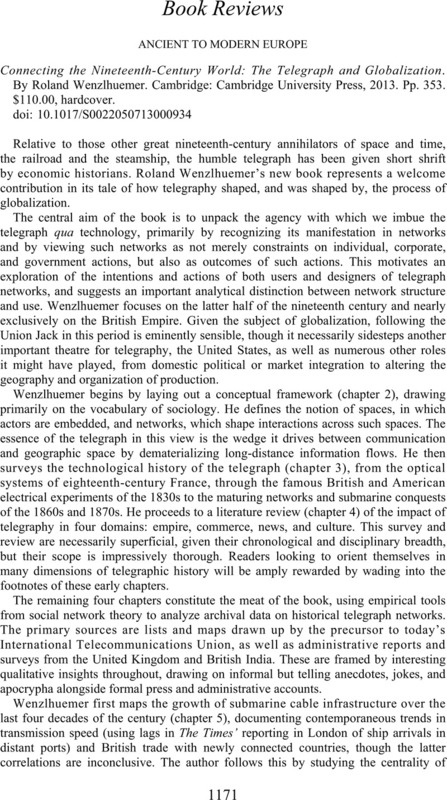 Connecting the Nineteenth-Century World: The Telegraph and Globalization. By Roland Wenzlhuemer. Cambridge: Cambridge University Press. 2013. Pp. 353. $110.00, hardcover.